Hooray! 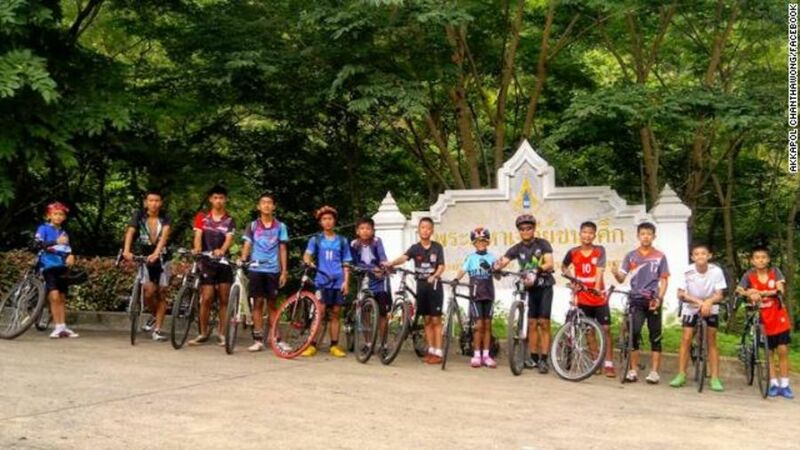 All the Boys in the Thailand cave have been rescued. This is music to my ears. The first thing I did when I woke up this morning was to check my phone to see if there was good news. I was thrilled to find that 3 more boys had made it out, then another and the coach. God is so good! This is an exciting day! Thank you for joining me in prayer. I believe this is a miracle from God. I always thought in the back of my mind that one of these boys would not make it out alive, but God had a greater miracle. The entire team made it out alive due to the bravery of many men and women. However one man, Sgt. Major Saman Gunan, a retired Navy Seal, did not make it. He volunteered to help, but lost his life when his tank ran out of air. My thoughts and prayers go to his family. I first learned of this story on July 2nd, the day the divers found the boys deep within the cave. Upon hearing, I was afraid that they boys would not make it out alive. God immediately pressed on my heart an urgency to pray and get others to pray with me. My three sisters and I made it our mission to cover these boys and the rescue workers in prayer. After researching the spiritual condition of the nation of Thailand, I wondered if the Lord allowed this to happen so that the entire world would pray for Thailand. My blog is called “Prayer in Every City” for a reason. Every nation and city needs prayer so that people can escape spiritual darkness. “12 wild pigs and coaches out of the cave. Safe everyone. This time, waiting to pick up 4 Frogs. The 4 Frogs are referring to the Navy Seal team who had stayed in the cave with the boys. Praise the Lord that they have safely made it out of the cave too. The Thai NavySEAL posted this awesome photo of the 4 NavySeals who helped sustain the coach and the boys for 8 days. They might not be sure if this is a miracle or not, but I am sure. The Lord withheld the rain for almost the entire length of time the rescuers were trying to drain the water from the cave. They were able to drain a lot of water from the cave so that part of the previously submerged passage was walkable. God saved these boys as an answer to continuous prayer offered from around the world. I wish we could keep this kind of prayer movement going. Imagine what God would do in our world with this much prayer going on for the lost! Just in case you have not kept up with the story, here is a brief timeline of events over the past 2 weeks. The boys were lost in the cave on June 23rd. They survived for 10 days perched on a rock, while drinking water dripping from the cave walls. 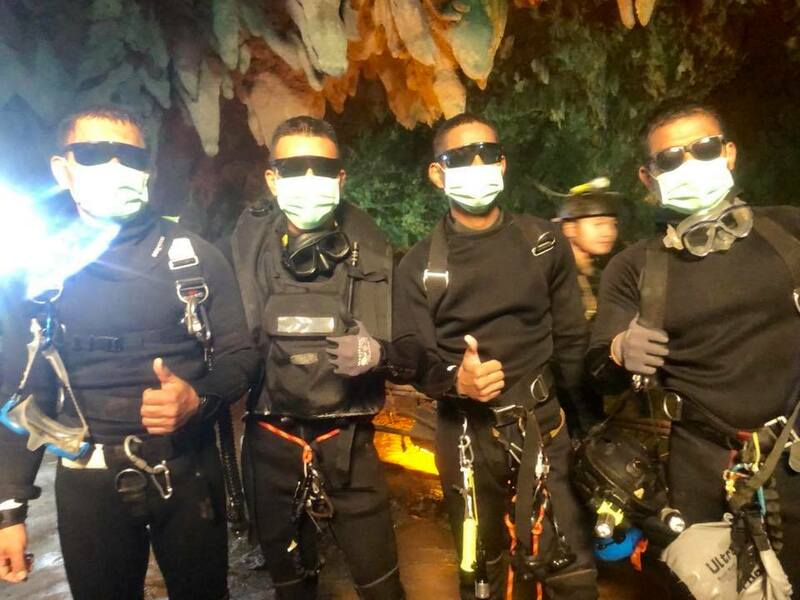 They were found by two British divers on July 2nd, but still had to remain in cave while rescuers figured out how to get them out. The first 4 boys were rescued on July 8th, with 4 more following the next day. Praise God everyone is out including the rescue team. I applaud the 4 NavySEALs who stayed with the boys in the pitch black cave along with the 90 divers who assisted in this rescue. I also give a shout out to the men who tirelessly pumped water from the cave. There were also medical teams, volunteers who provided food and other needed assistance. Most of all I thank the Lord. This type of mission could not have been carried out without the Lord’s guidance, protection and provision. Lord, we thank you for allowing the rescue of these young boys and their coach. We have persevered and prayer and you gave us the answer. Thank you for stopping the rain so that the caves could be drained to lower water levels. You also provided assistance all over the world to show us what can be accomplished when we work together. We pray we do not forget the lessons we have learned through this event. May we continue to pray for the unreached people in South Asia and around the world. Please touch the hearts of the boys, their families and the rescue workers. Heal them of any injuries or illnesses they might have contracted while spending so long in the cave. Send Christians to them who will not be afraid to share their faith and witness to them. We pray for a spiritual awakening in Thailand and over all the 10/40 window of the world. In Jesus Name, AMEN and AMEN! Make a joyful shout to the Lord, [a]all you lands!